As we end a deeply contentious presidential election cycle, the divisions among the American citizenry are as visible as always. In the midst of this divisiveness, we need people who can lead from a soul-depth that inspires others, but also can sustain itself in a pressure cooker. One of the finest measures of the human soul is the ability to maintain grace under fire. Most people who have distinguished themselves in rising above the chaos, evil and fear swirling around them speak of having “received” inner strength from outside their own interior resources. This strength allowed them to rise above the circumstances of a stressful situation, to think clearly, to respond compassionately, and to ultimately display the very best in human character. It also gave them the capacity to lead the process of change needed to move the community to another place. 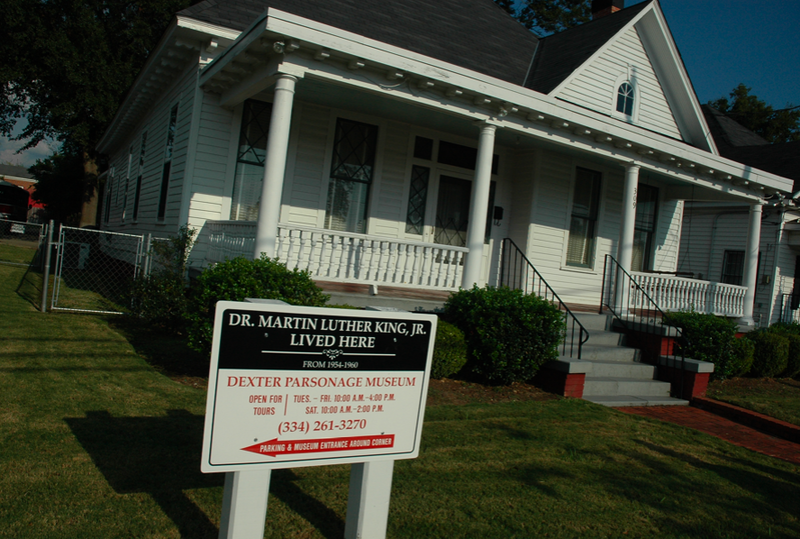 Dr. King had taken a position as pastor of a small congregation in Montgomery, Al., after completing his doctoral coursework at Boston University, but before writing his dissertation and completing the degree. He was newly married and had his first child, Yolanda. He took the job, against his father’s wishes, because he dreamed of one day becoming the president of a college, but wanted some pastoral experience prior to entering higher education. The congregation in Montgomery was not his first choice, and a little smaller than he had hoped for in his first “church call.” But, he accepted it thinking the size would allow him to finish his degree requirements. The Montgomery Improvement Association, under King’s leadership, spearheaded an African-American boycott of the bus system. 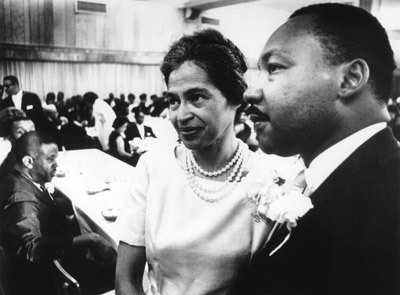 Not yet a man willing to take unnecessary risks, King convinced the activists to demand only modest concessions, such as the bus drivers speaking with courtesy to African American riders, and blacks having the right to sit in the front of the bus, only if the back was already full. The activists were unhappy with King’s timidity, but followed his lead. Of course, the local white leaders condemned the boycott, and tension in the city intensified. A month and a half into the social justice initiative, King was arrested for doing 30 miles an hour in a 25 mile an hour zone, was handcuffed, put in a police cruiser and driven away from downtown and out into the darkened Alabama countryside. As he sat alone in the back seat of the car in the dark, he panicked and prayed that God would give him the grace to endure whatever awaited him when the car stopped, which he assumed was his own torture or murder. Fortunately, King was taken to the city jail and incarcerated with other people. Bail was made and he was released, but the following day he had back-to-back meetings and activities and returned home late and exhausted, his wife and child already long asleep. After checking on his wife and daughter, King received a telephone call filled with obscene words and a death threat. He had such calls before, but this one rattled him. He couldn’t get to sleep and sat alone in his kitchen, trying to figure out a way to get out of his leadership position without looking like a coward or disillusioning those trusting in the possibility of promoting change in their southern society. In desperation, Kin called out to God, not from his academic preparation at Morehouse, Crozer and Boston Universities, but from the depths of the shared humanity he had experienced with the social justice activists, drifters, and alcoholics sharing his prison cell the previous night. He also cried out from the heart of his formation in the black church. He told God he was terrified for himself and his family. He thought he was right in the cause of greater respect for African-Americans, but he felt incapable of bearing up under the pressures bearing down on him. Suddenly, King said, he was filled with a Divine presence that made him feel ready for anything coming his way. He felt God standing with him and the rightness of the movement. Three days later, he convinced the Montgomery Improvement Association to not settle for modest changes in the laws and practices on city buses, but to challenge the legality and morality of the entire system of segregation law in Montgomery. Four days later, while he was giving a talk, King’s house was bombed with his wife and child in the building. He rushed home and found he city police and confused and scared white leaders in his house and an black crowd on his front lawn growing more and more angry. Walking on to his shattered porch, King raised his hand to silence the crowd and gave an impromptu speech that launched the Civil Rights Movement. King’s epiphany changed him from a would-be college president to one of most effective social reformers in American history, delivering a message and a methodology that has inspired people throughout the world. Although far from a perfect human being, Martin Luther King became a person ready and eager to act with grace under fire.